Several media outlets spent the weekend in Louisville obsessing about celebrities, goofy hats, and mint juleps. There was also plenty of coverage of updated betting odds. After all, the Kentucky Derby received a record number of total wagers, $209.2 million. But, it’s remarkable how easily our society doesn’t seem to notice the hypocrisy. Two months ago, a bill failed in the Kentucky legislature that would have legalized and regulated daily fantasy sports (DFS). Similar bills also recently met the same fate in Georgia and Florida. Our country has a completely inconsistent view on gambling. As you know, betting on March Madness is entirely socially acceptable. As a matter of fact, Nevada’s sportsbooks accepted record levels of betting action for the month, $429 million. And we don’t know the true numbers for the rest of the country. The AGA estimated that $10.4 billion was bet on March Madness throughout America. Bear in mind, that’s only a portion of the estimated $150 billion annual sports gambling market, with only 2-3% bet legally. For the most part, it’s not the politicians who are leading the crusade against sports gambling. It’s the sports leagues, in particular, the NFL. Again, this is a superficial endeavor when you examine the contradictions between the official stances on gambling by the sports leagues and the leagues’ actions. The sports leagues are battling the state of New Jersey in court to prevent legalized sports gambling while raking in profits from licensing agreements with fantasy sports leagues. That’s not including the sponsorship money collected from state lotteries and advertising dollars from casinos. Everyone knows the sports leagues profit tremendously from the interest that is generated through gambling. However, the NBA Commissioner Adam Silver is the only commissioner to publicly admit this fact. He did so with an op-ed in The New York Times. The sports leagues are obviously entitled to run their companies in a manner that maximizes their profits. However, it’s time to end the charade that these organizations are truly committed to an anti-gambling policy. That includes do-gooder PR stunts like what happened last month. The NFL will reportedly fine 30 players for participating in a televised arm-wrestling tournament that was held at the MGM Grand. None of the players actually gambled on the event, but their mere presence was considered a violation of the NFL’s anti-gambling policy. There have been several other similar incidents, including one that involved Tony Romo. Two years ago, the NFL canceled a Las Vegas fantasy football event that was organized by him. The NFL took issue with the location of the event, the Sands expo, which is a casino property. Afterward, Romo was non-apologetic and he pointed out that the Detroit Lions have a partnership agreement with the MGM Grand. Coincidentally, Tony Romo has recently been involved in separate gambling-related news. He’s expected to lobby the Texas legislature in favor of a current daily fantasy sports bill. The larger issue involving the federal sports gambling ban, PASPA. 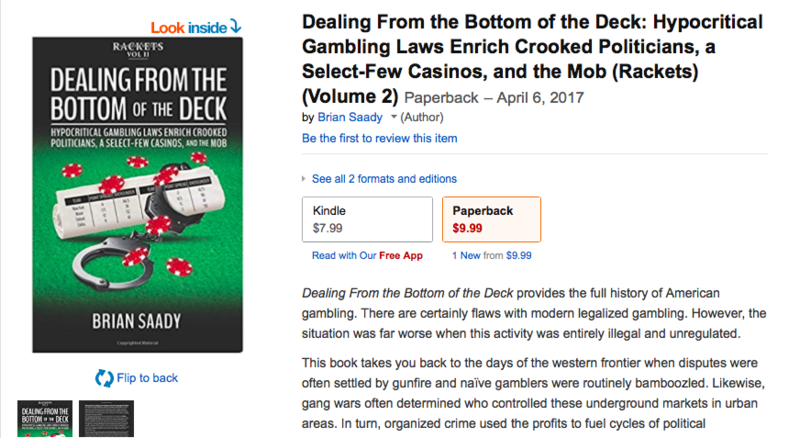 This is something that Gambling911 has covered in depth. Previous articles have pointed to the U.S. Solicitor General’s importance in New Jersey’s challenge against PASPA. Unfortunately, the latest news isn’t promising. Michelle Minton, a Competitive Enterprise Institute fellow, is a strong advocate of legalized sports betting who is extremely well-versed on the subject. According to her sources, it is “unlikely” that the Solicitor General will recommend that the U.S. Supreme Court review New Jersey’s appeal. Obviously, that is unofficial. And the U.S. Supreme Court may decide to review New Jersey’s appeal even if the Solicitor General recommends against it. Also, there are other paths toward federal legalization, such as new federal legislation. However, such an initiative would be a long time in the making. As for now, we’re in wait-and-see mode. However, we know that our society’s hypocritical view of sports gambling is unlikely to end anytime soon.